One of the main reasons that people get involved in Astrology, Numerology, Tarot and other divinatory practices, is that they’re looking for insight into their relationship or love-life. Numerology has a lot to offer regarding matters of the heart. But unfortunately, so much of the Numerology found on the web and in popular books today barely scratches the surface when it comes to relationships, and some of it’s just plain wrong! Many sites and authors will provide you with free relationship compatibility test, or number matching tables that concentrate only on the Life Path Number. This is not a good way to understand a relationship. It’s almost like saying that if people work in the same business, or take the same subjects at school, they automatically develop a fulfilling and satisfying connection! There is SO much more to love than this! But before we show you some of the more involved techniques that professional numerologists use, let’s be clear: relationships start with you. With your openness and your willingness to connect with another person from a heart-centred place. The Numerology Chart, just like a human being, is a multi-faceted jewel with harmonious and contrasting elements; no single piece is going to guarantee that things will work out between you and another. Along with the Life Path, there are several other core numbers in your chart. Amongst these, the Birthday Number has been used for a very long time as an important key to relationships. The Birthday Number is calculated using the day of the month on which you were born, reduced to a single digit. So if you were born on March 15th, your Birthday Number would be 6, because 1 + 5 = 6. This numerical vibration is important when it comes to relationship compatibility because it is used to calculate the “Cycle of Productivity” within your Life Path, which runs from about the age 27 to about 56. As the name suggests, this is the most productive time of life for most people and is also when they are likely to be choosing to enter into intimate and lasting relationships. These relationships will often be our biggest teachers and be instrumental in directing the course of our lives and personal growth. The compatibility test is made through comparing your Birthday Number to the Birthday Number or the Expression Number of another person. Some tables exist for the purpose of making these comparisons (like the one just below!) but it’s important to realize that there are no hard and fast rules. So any tables you come across should be treated more as guidelines than definitive instructions. The term “vibrates to” means a that a mutual and favourable appeal exists between numbers (and the people expressing them) and they can really benefit each other. The term “attracts” is self-explanatory. The term “disagrees with” means that some discord exists between numbers (and the people expressing them) so tact and diplomacy are needed to make the relationship work well. The term “passive toward” infers that there is no opposition but no strong bond either between numbers (and the people expressing them). When two numbers are the same, they naturally do well with one another. 1 Vibrates to 9: attracts 4 and 8: disagrees with 6 and 7: passive toward 2, 3 and 5. 2 Vibrates to 8: attracts 7 and 9: disagrees with 5: passive toward 1, 3, 4 and 6. 3 Vibrates to 7: attracts 5, 6 and 9: disagrees with 4 and 8: passive toward 1 and 2. 4 Vibrates to 6: attracts 1 and 8: disagrees with 3 and 5: passive toward 2, 7 and 9. 5 Vibrates to 5: attracts 3: disagrees with 2 and 4: passive toward 1, 6, 7, 8 and 9. 6 Vibrates to 4: attracts 3 and 9: disagrees with 1 and 8: passive toward 2, 5 and 7. 7 Vibrates to 3: attracts 2: disagrees with 1 and 9: passive toward 4, 5, 6 and 8. 8 Vibrates to 2: attracts 1 and 4: disagrees with 3 and 6: passive toward 5, 7 and 9. 9 Vibrates to 1: attracts 2, 3 and 6: disagrees with 7: passive toward 4, 5 and 8. Even this very specific list of numerations is often defined by human experience! So be sure to base your compatibility on more than this. One potent consideration is another of the core numbers, one which sits at the root of your relationships with others and yourself – The Soul Urge, or Heart’s Desire. Some numerologists believe that your ability to live in harmony with the desires of your Soul, or practice “Heart-Based Living” is the true key to health, happiness and love. It can be common for people to focus on a career or lifestyle that is not in harmony with the vibration of their Soul Urge, resulting in the suppression and silencing of the vibration of their true Heart’s Desire. If this happens, it’s highly unlikely that they will attract relationships that nurture them (if they are not able to nurture their own needs, how can anybody else?) And in addition, these people rarely develop the defensive psychic qualities they need, to warn them away from potentially toxic relationships. When embarking on a relationship compatibility test, it is vital to explore an individuals level of self-realisation, and look at how developed their Soul Urge Number is. The Soul Urge Number (calculated only from vowels) is a sub-component of the Expression Number, which is comprised of the full birth name. The other component to this is the Personality Number, which is calculated from only consonants. So where the Soul Urge represents the inner or higher self and its desires, the Personality Number reveals the material and psychological aspects of an individual. These are made up of genetic traits, as well as cues and prompts that are gathered from the social and physical environments, including one’s personality and defining characteristics, habits and styles, for example. They are necessary to express and fulfil the desires and urges of the Soul – put these two numbers together, and you have the full expression of the individual in the world! Since the Personality Number is what other people are able to see of you in the world, it is, in most cases, the vibration that attracts others to you. At the same time, when you feel a connection with another, it is likely that their Personality Number has attracted you, and it is actually this, and your Soul Urge Number that has clicked in some way. You can play around with this: If you change something about your personal style or try to re-work an aspect of your personality in order to attract a different kind of person, whilst results won’t be instant, your vibration will gradually shift, and so will your point of attraction. Even with this “magnetic potential” of the Personality Number, attraction alone does not define a favorable relationship. The Soul Urge has to be considered. If there is no heart-to-heart connection at all, the relationship rarely lasts because as you deepen into each other, connecting more on that Soul level, the importance of what you look and sound like on the outside will lessen. So in essence, you cannot hide your true self and it would be a waste of time to try! But the good news is that on the Heart level, almost any combination of numbers can be worked through if there are other strong, positive connections, especially regarding the Birthday or Expression Numbers. Missing numbers in your chart? Karmic Lesson Numbers Can be a Good Thing! Another factor that few websites and books consider are the Karmic Lesson Numbers. These are calculated by counting up all the times each number appears in your full name, and noting any missing or overabundant numbers. If you happen to connect with someone who has a number that you’re missing, or you happen to be abundant in a number that they are missing, it can be a very good thing when it comes to love! So long as there are other agreeable chart elements, this could indicate a very special relationship in which these two people are able to support each other in very powerful ways. The Relationship Number is certainly worth considering. 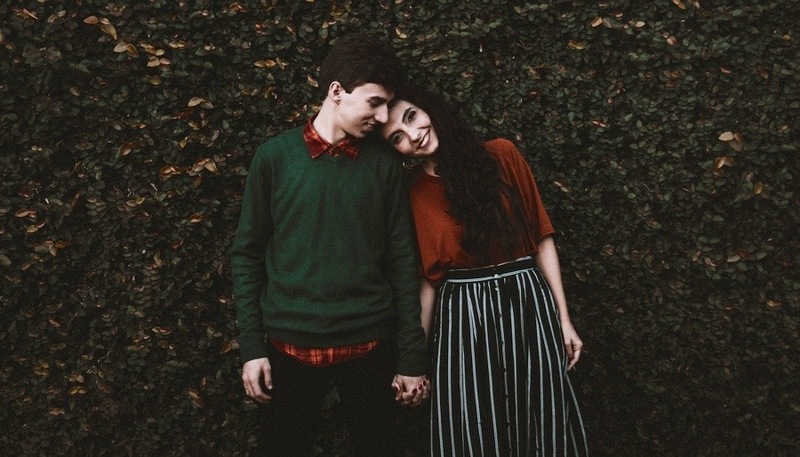 This number can be found through the study of both partner’s numerology charts and represents the characteristics of the relationship, rather than making a comparison of the two individuals. It is found by reducing the sum of each person’s Life Number Path (which is the sum of the Life Path and the Expression Number) to a single digit. These two Life Numbers are added together, and voila, you have the Relationship Number. The Relationship Number works well as a quick compatibility test but can be used with much more accuracy when compared with other numbers in the two charts, including those like the Personal Years or Months. In these cases, it can be invaluable in revealing “both sides of the story” at once. If one’s Soul Urge matches, vibrates to, or attracts another’s Life Path, this usually makes for an excellent partnership. If the Soul Urge Numbers of two people are the same, vibrate to, or attract one another, this is what some call a “soulmate” situation. This doesn’t mean that the two people are meant to be together and stay together, but it does mean that there is a harmony of purpose that cannot be denied. On a very deep level, they want the same thing and hold very similar values in their lives. Conversely, we may meet people with the same Soul Urge Number every single day and have no romantic or sexual interest in them at all, because there are no other chart elements helping bring that connection into manifestation. If the Life Path Numbers of two people are the same, they may be totally in synch over business, work-related or other matters, but in romance this connection can bring in too much of that particular vibration into both of your lives and cause problems, especially if there isn’t a Soul connection to temper or utilize that energy. For a comprehensive overview of the whole range of number combinations, follow this link to our Complete Guide to Relationship Compatibility. This covers each and every number combination and can be used as a valuable starting point for your relational inquiries. The number one thing that you can do today to improve your chances of finding true love (and learning the lessons that love has to offer) is to tune in to your Soul Urge. Feel for its promptings so that you can honor your Soul in your daily life. Doing so will enhance every single aspect of your life and create the space for love to enter in. Because without doubt, a connection with Soul is the key to opening your heart and being love, so you don’t have to look for it anymore: others will find it in you.